Ford has created 250 new jobs at its Dagenham engine plant. The company is looking for a new wave of production operators to support its new diesel engine production line, which will go live in 2015. 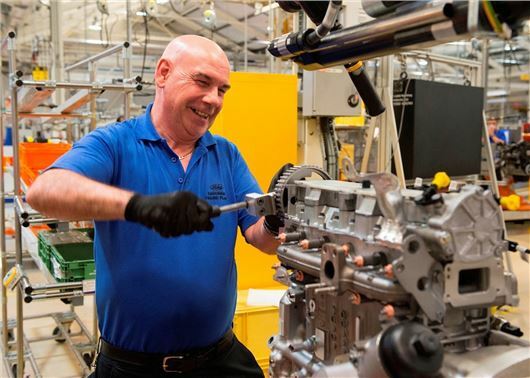 The new production line will build Ford’s next-generation 2.0-litre diesel engine, which will be fitted across the company’s car and van range. The expansion represents an investment of over £380 million, which includes financial support from the UK Government’s Regional Growth Fund. Ford has been enjoying a bumper year in 2014, with the Fiesta and Focus being the UK's the number one and two best-selling cars. Ford has sold 197,201 cars in 2014 (up to the end of July), up from 188,993 in 2013. Last year Ford Dagenham produced 787,398 diesel engines, with 85 per cent exported, but the company wants to increase production to cater for the increase in demand. The new recruits will join the existing staff of around 2000 employed at Dagenham. Applications for the new jobs can be made online here.